She sounds a right pain. But she could paint. About 140 of her pictures exist of which 55 are self-portraits. She was also passionate about plants. This summer the 250-acre New York Botanical Garden – one of the world’s finest, and just a Subway ride from Manhattan up into the Bronx – is staging an ingenious show that marries up a dozen or so of Kahlo’s still life paintings and portraits with the NYBG’s own plant specimens, both living and dead. The exhibition is a progression through the gardens. It starts with the paintings, shown on the top floor of the Mertz Library and Art Gallery. 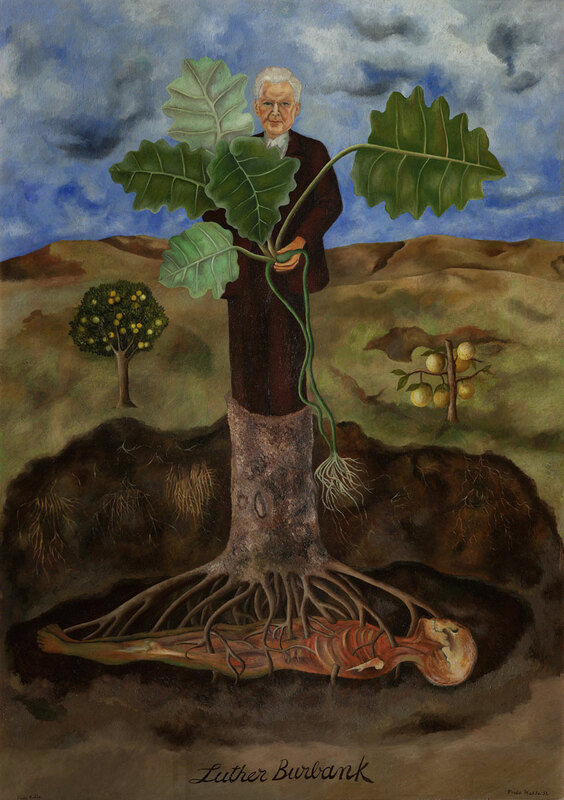 They include intensely colourful close-ups of lush Mexican fruits and plants, an almost spooky self-portrait of Kahlo staring out to the viewer flanked by a black monkey and a cat, and a surreal portrait of the horticulturalist Luther Burbank growing out of, or perhaps turning into, a multi-rooted plant following her favourite morbid theme: ‘the fertilization of life by death’. 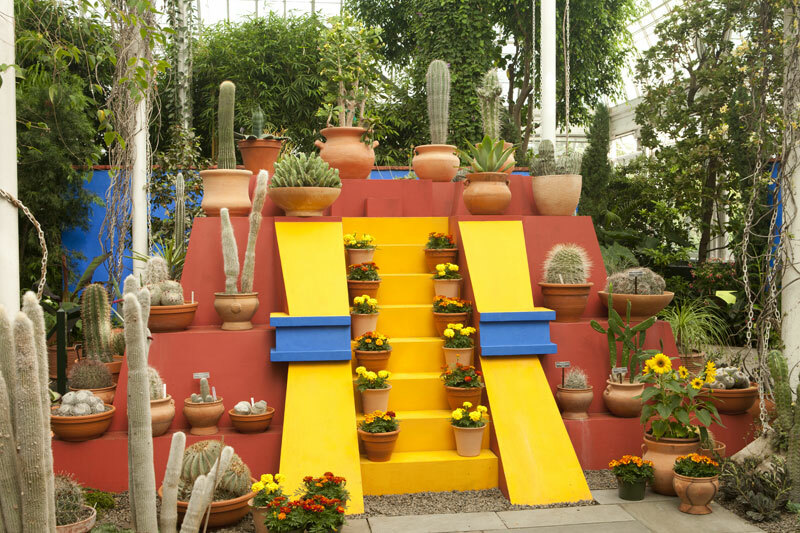 On the floor below are the NYBG’s feathery specimens of Mexican desert plants as well as artist-in-residence Humberto Spindola’s ‘The Two Fridas’. 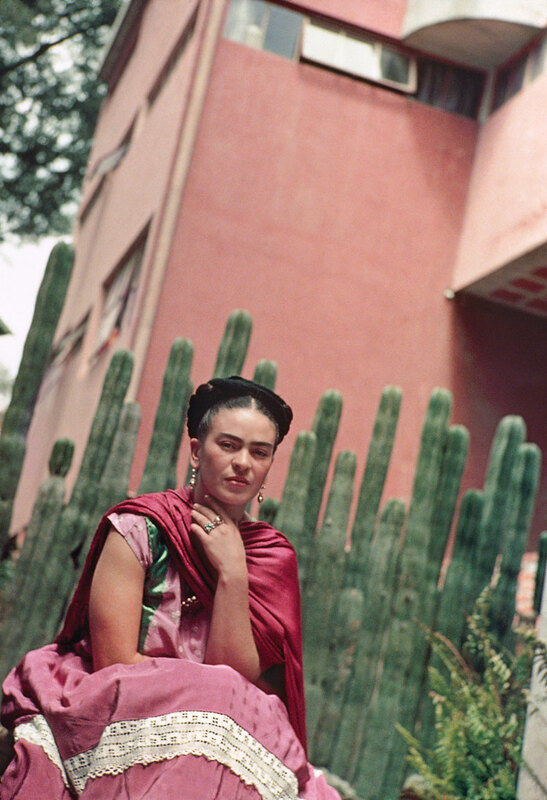 The ground floor puts Kahlo’s work into the context of both her home – La Casa Azul (The Blue House), which has been a museum since 1958, four years after her death – and her home town, the elegant Mexico City with its grand Spanish-inspired monuments. In the gardens, paths through towering tulip trees in full blossom, then the conifer arboretum and almost every variety of peony, lead to the expansive Haupt Conservatory. Here, amid exotic tropical flowering plants such as the jade vine, a large chunk of Frida’s Casa Azul garden has been recreated together with her studio desk with paints and brushes at the ready. Never have cacti looked so beautiful. 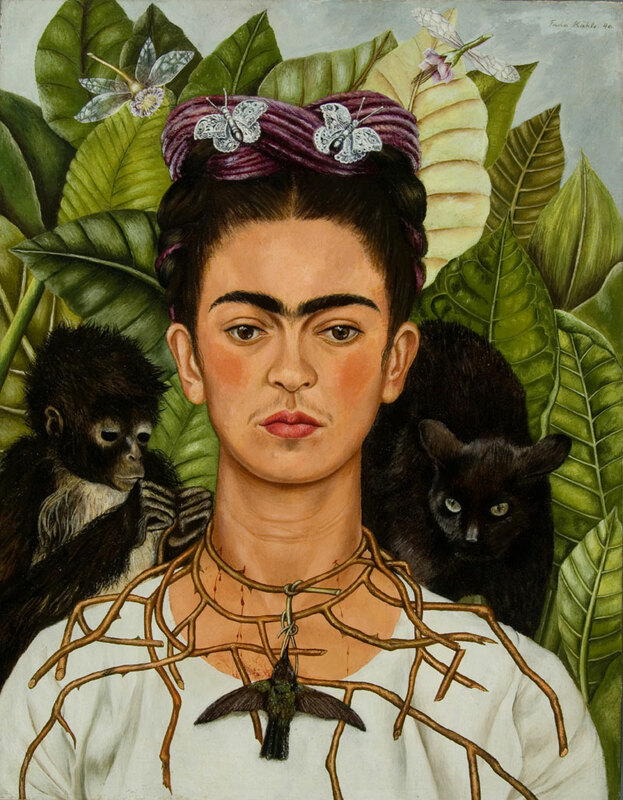 NYBG’s summer ‘Frida’ programme includes Mexican plant tours, music, film and ‘Frida al Fresco’ evenings. In the gardens, Mexican plants are given special ‘Frida’ labels and plant-mentioning poems by Octavio Paz are pinned up on banners in shady spots. 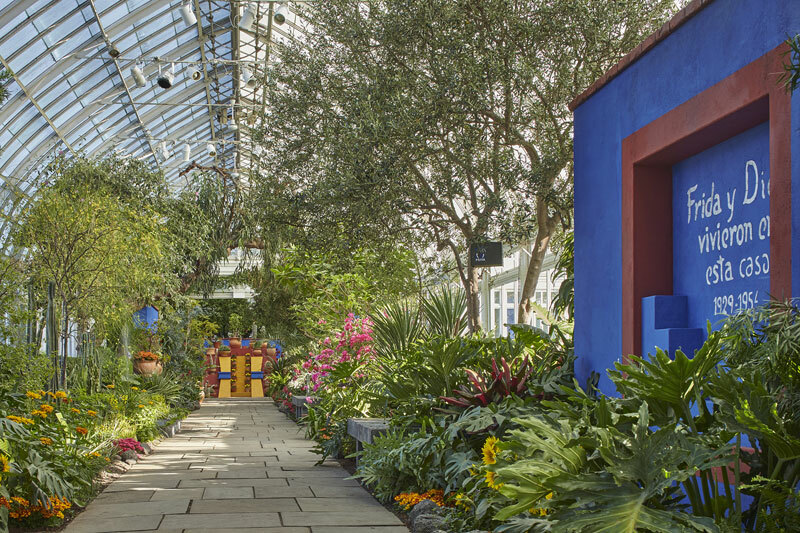 ‘Frida Kahlo: Art, Garden, Life’ is at the the New York Botanical Garden until 1 November 2015. In Manhattan, a complementary show, ‘Mirror Mirror… Frida Kahlo Photographs’ is at Throckmorton Fine Art until 12 September.